I am still looking for a way to get some kind of logging of the changes and updates to earlier posts. In the meantime this update seems worth a separate post. The update to Best of taarab was sent to me by Pauly Becquart, residing in Tanzania. He writes: "The cassette contains tracks from 4 volumes of "Best of Taarab" published earlier by Melodica, Nairobi. Song B6 is named "Walimwengu wanaina" and song B7 is "Khiyana"; both are from Vol. 3 (see cover). The infos I got at Melodica while buying these cassettes more than 20 years ago is that at the base the band is Black Star Musical Club with Kibwana Saidi and Sharmila at vocals. (Tanzania never got any vinyl production up to now, perhaps this last couple of years because of the uprising of music production in Tz, but I don't think so, never had heard while still in contact with Tz musicians; turntable is a very very rare tool in Tz). 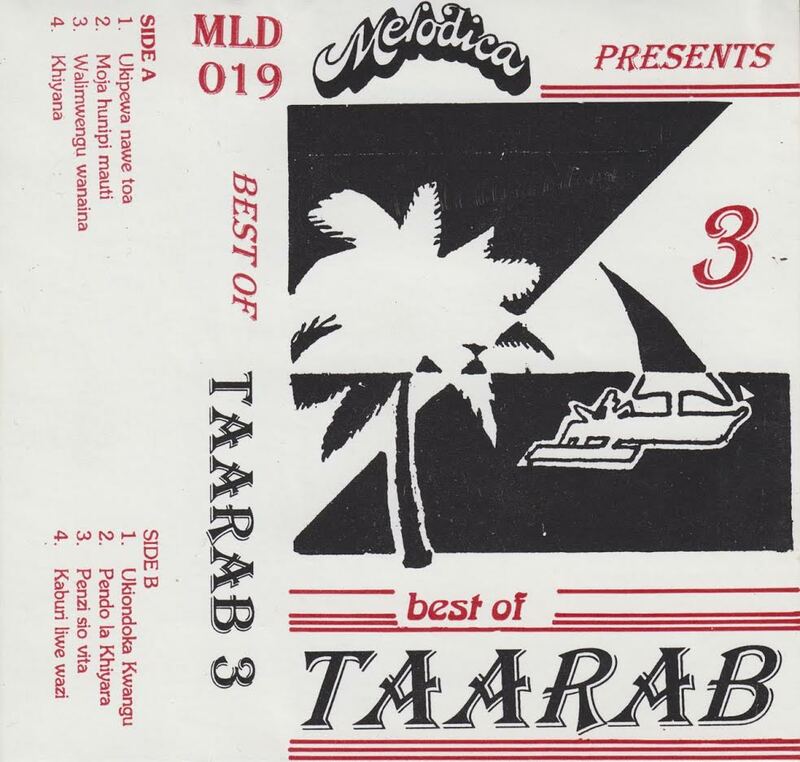 Anyway all tracks on these cassette are from Tanga's original Musical Clubs who had their own taarab style. Band members recording are rarely the original members. To credit theses cassettes to Black Star Musical Club is not an error nor a big sin." A flac version of this great cassette can be found here, but only until June 1, 2017: CS KSS 117. The updated mp3 version can be found with the original post. I was just wondering the other day if you were still alive and well....glad to hear from you. This is truly a holiday treat, and something I missed first time around. Sincere thanks! Thank you very much for the music and information, your blog has been of great value for me through the years.